While the 2017 Ford Fusion from El Paso boasts of a fresh, contemporary design, it’s not all about the style. It now carries premium features and technologies that make it smarter, more efficient, and user-friendly. In fact, it caters to a wider market as the only midsize sedan available in plug-in, all-wheel-drive, and hybrid versions. 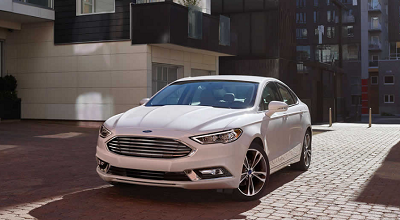 Whatever your needs and preferences are in terms of power, speed, and capability, the 2017 Fusion from a Ford dealership in El Paso probably has something for you. The 1.5-liter, EcoBoost four-cylinder produces 240 horsepower and a fuel economy of 23 city/34 highway mpg. A great daily drive because of its fuel economy, it features an auto stop-start to complement its fuel-saving attributes. This entry was posted in Business on August 23, 2016 by Domingo.